Kashima Antlers defender Gen Shoji is set to complete a transfer to French first-division side Toulouse, the J-League club announced Saturday. The two teams have reached an agreement and a contract will be signed after Shoji travels to France next month for a medical, Kashima said. He is set to sign a three and a half year deal with his new club. "I will move (to France) with confidence and strong motivation. 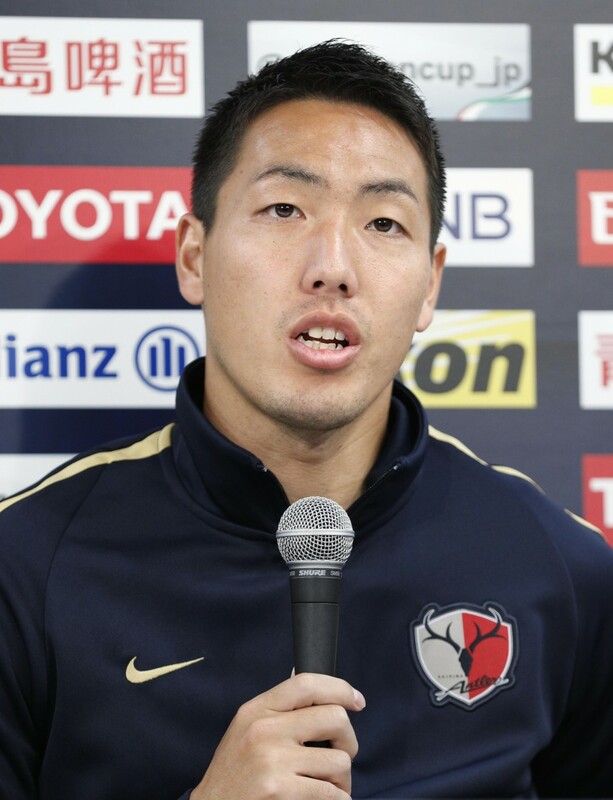 I want to demonstrate what I learned during my time with Kashima," he told reporters at Kashima's clubhouse in Ibaraki Prefecture, northeast of Tokyo. As a center back, the 26-year-old contributed to Japan reaching the round of 16 at this year's World Cup in Russia. "After the World Cup, I received many offers from clubs abroad, and I debated whether I should go. I decided at first to stay with Kashima to help the club win a title, especially at the Asian Champions League," Shoji said in a statement. "But when I got an offer again, I felt strongly that I want to test my skills abroad and grow more as a soccer player," he said. The Hyogo Prefecture native, known for his positional and ball-winning prowess, began his career with Antlers in 2011 and helped his team finish top of the league in 2016. He has 15 senior caps for Japan with one goal. This year, the Antlers became the third Japanese team to win the Asian Champions League title. They were third in the 18-team J-League table. Toulouse is currently 13th in the 20-team league. They finished 18th last season but won their relegation playoff to remain in the top flight.